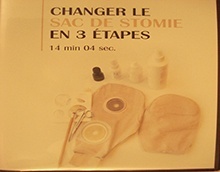 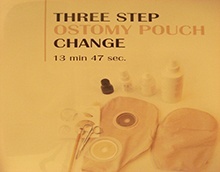 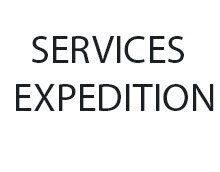 1: 14 minutes DVD: “Three step ostomy pouch change”; original version, very explanatory The mesh protective ostomy belt is recommended after surgery and during summer time. 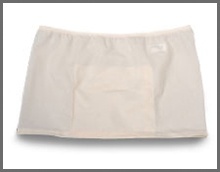 Worn under the bathing suit, the belt is perfect at the pool or at the beach as it prevents the ostomy bag from moving while swimming. 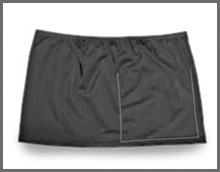 The mesh material is light, dries quickly, easy maintenance and allows the skin to breath well. 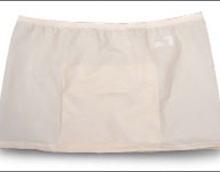 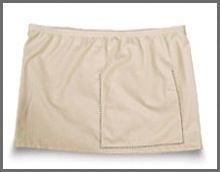 All our belts are made with a universal interior pocket which ensures that your ostomy pouch remains firmly in place, preventing it from detaching itself during physical activity as well as when at rest.